IMPOSSIBLE DREAM? Some people think that the existence of the soul and God, what to speak of a relationship between them, is delusional and unproductive. Others may doubt that one can have a spiritual practice to understand them, or that the Ultimate Unlimited Absolute is personal in its highest aspect, what to speak of being Krishna. Or those on the path of bhakti for many decades may doubt that they can make much advancement in this lifetime, but hope against hope for a miracle at the time of death. We find in the world so many opinions, some well-reasoned, others full of emotionalism, negative, positive, regretful, or so many combinations that may dissuade one from spiritual practice or the determination to give one’s whole being, heart and soul. 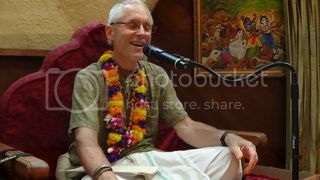 Sometimes well-meaning friends, family, or those brothers and sisters on our bhakti path who are disillusioned with fallen leaders or their guru, can be our worst advisors or critics. Some people never heal from their painful past traumas, betrayal, or disappointments, and remain looking backward, and not to true empowering possibilities. As the saying goes, misery enjoys company. How much such opinions affect us depends on our mind’s orientation to react or respond based on how much spiritual experience or faith in our path we have, or haven’t. As I have shared before, despite appearances to some, I am one of those devotees who has lived as a casual, or “religious” devotee (which means just doing the basics and not really fully applying oneself to the process both internally and externally), for most of my decades of practice, and in fact I have this as my general default setting—which I would wager is true for many older devotees. I share this as a warning for younger devotees and a possible wake-up call for those devotees in old or pre-old age. 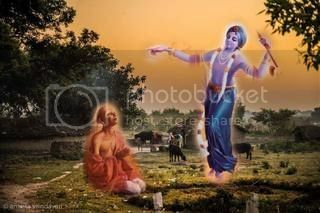 While bhakti is a path of grace, there is much we can do to be in the right consciousness to attract it. My current life situation is the proverbial fork in the road where I must choose how to spend each day, week, and year I have been blessed to live. Doing nothing different, or not acting, is also a kind of choice. We are, and we become, what we think about and are focused on, absorbed in. Our thoughts, feelings, focus, and faith is where the power of life is, giving us vitality and dynamism, or lethargy or depression. Do we expect life events or situations to work out, or do we bemoan our fate that we seem to “always” attract bad things or relationships? The process of change or transformation is based on understanding this fact of life, and acting accordingly. Positivity or negativity, faith or doubt, are emotional habits that can be changed, with the power to change our lives. Even though some types of conditioning and karma make being positive and less critical more difficult, we can all still improve our basic orientation toward life, ourselves, and others, and reap the rewards. As many have observed, much of a successful life is based on our attitude which affects our perception. This quote above was actually first said by Emerson, one of the early "American transcendentalists" who studied the Vedas--said another way, we could quote the Gita's 8th chapter, that we become what we think of at the time of death--the loss of each moment is a kind of death in the march of time. Is it a stormy day (physically or emotionally)--or fill in the blank--good or bad? People in the same situation have remarkably different perceptions of it. Admittedly, my wife and I are both positivity types, and we have adopted a philosophy of life based on the understanding that whatever happens to us is meant for our highest good. Though we believe this is a spiritual truth based on our life experiences, even if you believe this is only a psychological view, we find that what is expected tends to be realized. In other words, our life world view creates a life focus, and what we look for or notice, whether positive or negative. Is it a calamity or opportunity? 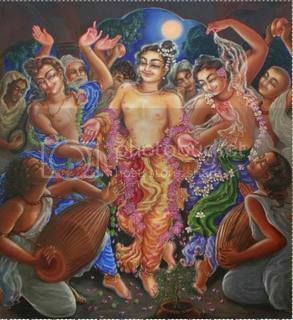 And so my frequent blog refrain is that for me cancer is Krishna’s loving embrace and supreme mercy and kindness, and I am praying to take full advantage of it--do something significant, be more kind and loving, increase my service of giving and helping others, or just fade away. Prayer is my secret power, and whatever I may accomplish is based on prayer to lovingly, joyful surrender and be emptied out of everything unfavorable for spiritual progress, and to give, and share that in every place I travel to, in person, or through my writing. I am grateful for the inspiration I feel to write and share what is most essential to me even though my readership here is quite cyclical, as some pick up these threads for their site, and then take them off. Still, I keep my writing practice as it gives me life, inspiration, and many blessings. I have high aspirations and intentions. As I said a few blogs ago, we have to learn to keep steady despite the ebb and flow, or zigzag path, which is a constant in material spheres.